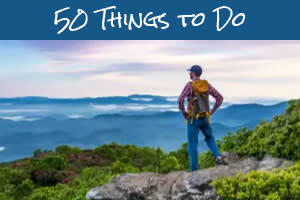 Great travel packages help you see the show and explore Asheville this winter. Already with a Grammy award under its belt, powerhouse bluegrass band Steep Canyon Rangers is preparing to mark a major new milestone. And, the band will celebrate that milestone here in Western North Carolina where the six musicians call home. 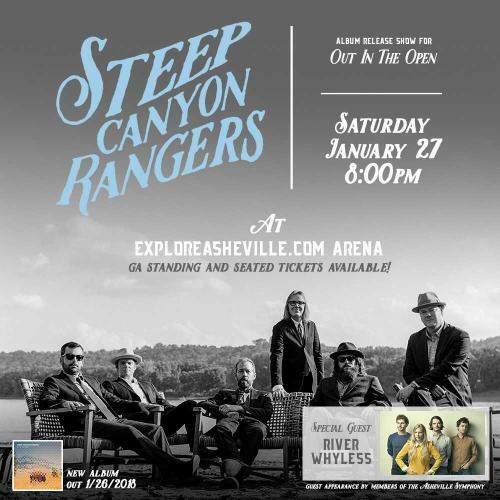 Steep Canyon Rangers will celebrate the release of its new album, Out in the Open, with a special show in Asheville on Saturday, January 27, 2018, at 8 p.m. at the U.S. Cellular Center&apos;s ExploreAsheville.com Arena. 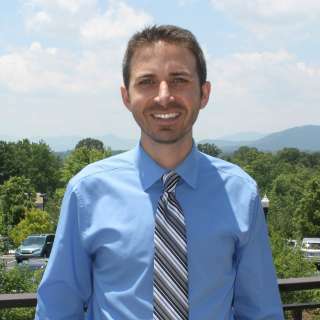 The unprecedented live performance will feature a 10-piece ensemble from the Asheville Symphony Orchestra throughout the evening. Homegrown Appalachian band River Whyless will also perform. Tickets to the show are available now. Please visit the U.S. Cellular Center&apos;s ticket page to purchase yours before they&apos;re gone! For information on how to pre-order the new album, visit the band&apos;s web site. 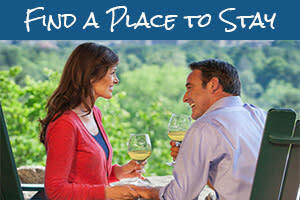 Book a Steep Canyon Rangers travel package at an Asheville hotel or B&B! The Asheville show is part of Steep Canyon Rangers&apos; national tour of more than 40 U.S. cities. 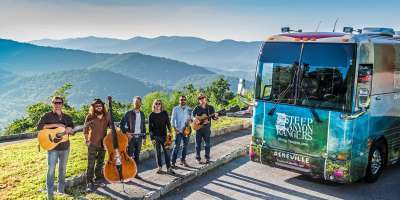 ExploreAsheville.com has partnered with Steep Canyon Rangers to sponsor the band&apos;s tour bus. The new album, Out in the Open, follows the September release of the band&apos;s most recent collaboration with Steve Martin, The Long-Awaited Album. One of the new album&apos;s songs, "Going Midwest," was recently featured by Rolling Stone Country. Take a listen for a sneak preview! 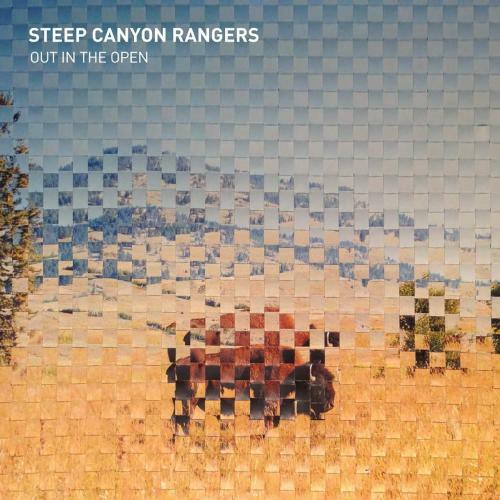 Steep Canyon Rangers now has recorded more than 10 studio albums. Several of those albums were recorded at Asheville’s nationally-recognized Echo Mountain Recording Studios. As the talented musicians of Steep Canyon Rangers travel the country and return to Asheville for their January show, they look forward to sharing the musical influences of the area that are steeped in the traditions of bluegrass and old time mountain music. “It will be wonderfully surreal to take the stage in the big room (US Cellular Center) that I remember so well from childhood and to share the experience with special guests and one of Asheville&apos;s favorites, River Whyless," Steep Canyon Rangers band member Woody Platt said. "This is a homecoming evening for us, an embrace of so many things that we love about Asheville, and a walk down memory lane." The winter season is a great time to visit Asheville, and music-lovers need no better excuse than this special Steep Canyon Rangers performance. Book a travel package or special rate for the weekend of January 27, 2018--see details below. Photo by David Simchock. Album art and concert poster courtesy of Ramseur Records.